You are here: Home / CFL/League / Parker and Foord sign with Lions on day two of CFL free agency. Parker and Foord sign with Lions on day two of CFL free agency. The BC Lions could be a very hard team to pass the ball against in 2012. After a productive 48 hours that saw the defending Grey Cup champions sign Lin-J Shell and re-sign their own free agents, Ryan Phillips and Dante Marsh, the team has confirmed the signing of three time division and league all-star Byron Parker, formerly with the Toronto Argonauts. The signing leaves BC with a secondary to be envied by the rest of the league and one that just oozes with experience. It will be interesting to see how the Lions utilize all this DB talent when things get going and it certainly means that a few DB’s on the roster today likely won’t be on opening day. If the Lions can have James Yurichuk step in at middle linebacker the Lions could go with an all-import secondary. Regardless, it’s a luxury that every coach in the league would drool over. After retaining pretty much their entire Grey Cup winning offensive roster, they are now loading up on defence. The loss of Solomon Elimimian and possibly Aaron Hunt will be felt, but the Lions already have some nice pieces to try and plug in with the likes of Rajon Henley, Yurichuk, Joash Gesse, Adam Bighill and Adam Leonard. 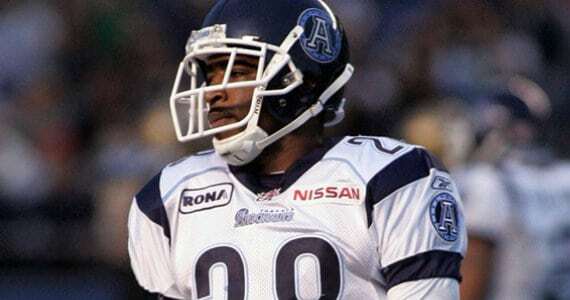 On offence the Lions addressed the retirement of Jamall Lee by signing Stu Foord out of Saskatchewan. Foord will see duty on special teams and back up fellow Canadian Andrew Harris in the backfield. “Stu is a capable running back who can provide us with some depth behind Andrew Harris as well as on special teams. We’ve been aware of his ability for some time and this is a very good addition.” said GM Wally Buono. Foord leaves Regina after coming up through the junior ranks, playing for the Regina Thunder and spending the last four seasons with the Riders where he saw very limited touches and spent most of his time on special teams. Word on the Aaron Hunt front is that there is interest out east for the popular Lion defensive lineman, but Lowell Ullrich of The Province also indicated on Thursday that the door may not quite be closed yet on a return to BC.